Regular readers will know that I keep an annual garden bird list. The rule is simple to be on the list I must have seen the bird in, or from the garden for it to qualify. The total so far this year is 28 species. Not a big number I know, but not bad for an urban back garden. The overall number of species, across all the years I’ve been doing this is 36. I might get a couple more before New Year, but it feels unlikely. There are plenty of species a stones throw away, but they don’t make the rule. 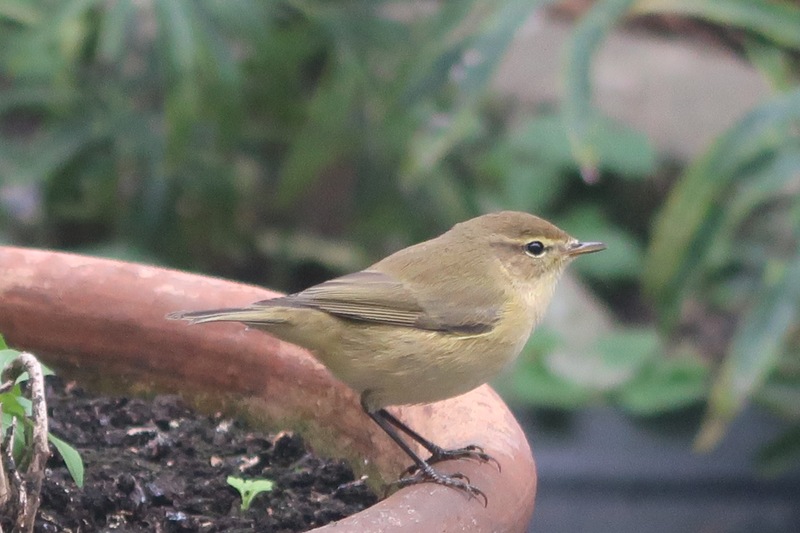 This entry was posted in Birds and tagged birds, chiff-chaff, post a day. Bookmark the permalink. I’m so unobservant, the odds of me spotting that many are not high. I usually notice birds by their song, in fact. We do have quite a number of those birds, as you might expect, but some, such as jays, we’ve never had. Plenty of rooks, though.